I am a reiki practitioner that fell in love with it shortly after my first session. I was so impressed with how quickly it reduced my stress levels I had to invest more time to learn about this Japanese healing process. 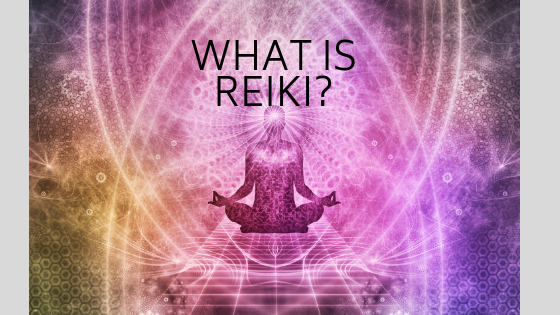 Maybe you’ve heard of reiki and have been curious about it. It is gaining a lot of recognition in the energy healing space. It is also known as a type of massage, touch therapy or hands on healing. What reiki really is a form of relaxation and stress reduction. A reiki therapist or practitioner is a conduit for energy to flow to help shift the energy of the person receiving the reiki. The reiki practitioner is not putting their energy into the recipient or receiving energy from the recipient. A reiki master or practitioner is simply helping shift the energy within the recipient to remove blocks, shift energy, reduce stress and promote relaxation and healing. Reiki is a Japanese technique that has been around the 1920’s. It is not a religion, there is nothing you have to believe in or are required to do to receive reiki treatment. It is the life force energy that flows through every single person. You can never get rid of energy, energy is in everything. You can shift energy, but you can never get rid of it. During my first reiki session I was so nervous. I had no idea what to expect. I did a little research on the Internet before going to my first session and I thought “Oh God, what did I sign up for? !” I was thinking I was about to waste 50 bucks for a nap. My first reiki session was amazing. I was a little concerned because I did not know what to expect but it was worth the investment to go through this experience. What I experienced was a life changing experience. Relaxation does not begin to describe the of and bliss i felt during my session. The session took place at Silver Pyramid and it lasted about 40 minutes. Kris was the reiki master’s name. I recall feeling, like an emotional draw of some type but I am not sure why. When I began to talk to Kris I was suddenly overcome with emotion. I felt like I could burst into tears. I did not cry though I told myself to control it. I proceeded to get on the table and lay down. Most reiki practitioners use a massage table. You keep all clothes on. I also left my shoes on. She said a short prayer, which she asked for permission to do and then began the reiki healing process. I believe she used crystals that she laid around me but I am not sure of the specific types of crystals. Her hands were hot. I could feel the heat through my shirt when she touched my stomach and upper chest. Her hands were warm when she touched my head. I could hear my stomach swirling. It was loud like water swishing in a pool. I was kind of embarrassed because I didn’t remember feeling hungry or drinking a lot of liquid prior to her starting the session so I wasn’t sure why my stomach was making that noise. Kris finished up the session and asked me to open my eyes. I felt giddy afterwards, like I was on a high. Kris had explained that these things I felt were common things to experience during a session. It was all energy within me shifting. We had a short conversation about my experience and then I was off. I felt fantastic. Like I said earlier, immediately after the session I felt light like I was floating and in a state of bliss. After my first session I was hooked. I knew I had to learn more about this healing modality. Kris did inform me that although my session was complete the shift of energy would continue over the next day or two. Below were some things I experienced after my session. Kris assured me that these were all normal part of the energy healing process. These symptoms only lasted about a day for me. Everyone is different and every reiki session is different, so do not rely too heavily on my results. My second session was nothing like my first session. Results were completely different. But I will save that story for another time. Try it for yourself. I highly recommend reiki.